Today my son Jesse helped me bring it home in a new awareness. 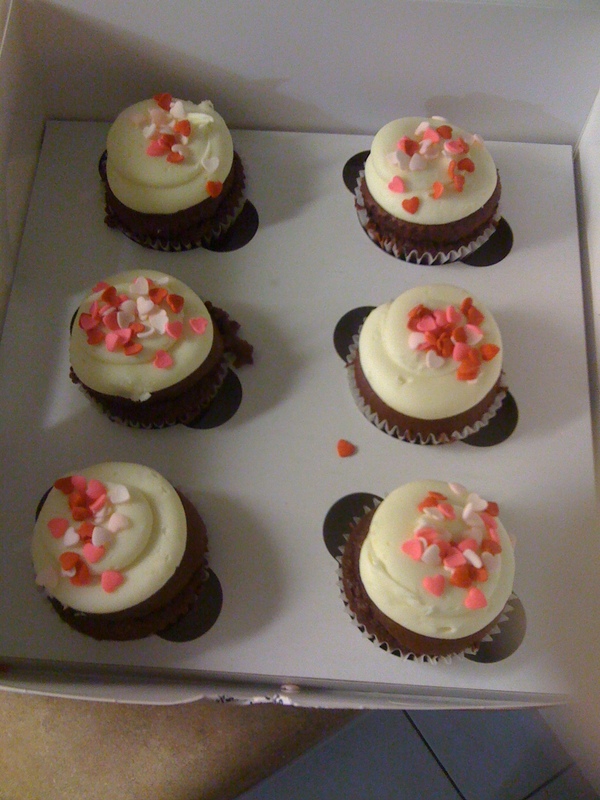 Red Velvet Cupcakes being my favourite Valentines treat this week – I’ve had my fair share cause they’re just so good. So out of the goodness of my heart… I offered him a cupcake before they’re all gone. Partly stunned I laugh…. But in truth I was thinking I’ve had about 4 cupcakes in the past 24hrs…. I was now a pretty big Red Velvet Cupcake>>>> I guess he has learnt well… interesting when they give it back to you as a reminder. And it is like that for everything we ingest in this world, food, drink, music, positive or negative thoughts, comments and even the wars and drama in the media and news daily. Energetically we take in and absorb all that is around us… Our body being an energetic field like a big sponge. It is easy to bring dis-ease in the body as well as emotional and spiritual turmoil of the soul when you are not aware. So my Tip today – is to ensure your energy field is well maintained and cleansed regular to release the toxins that surrounds us daily. Body – A monthly internal cleanse such as a liver cleanse or colon cleanse and a weekly external cleanse such as spa treatments of deep-sea minerals or aroma-therapy will release toxins from your physical body. All this can be done at home if you’re on a budget. Mind – A practice of daily mediation and exercise that includes deep breathing allows the body to release stress and the mounds of negative energy received through out your day…. Make sure you get down-time regular to keep you alert. Spirit – A practice of daily mediation and exercise including walks, yoga and other inner connective with your inner GOD allows you to activate your spirit to a higher level of awareness that allows you to positively detach from the many dramas circle your life now. So now that I am aware I have become one with my Red Velvet Cupcake I will do what’s right to release it…. but I may just have one more before the night is out….they’re sooooo good.